HDL cholesterol, LDL, VLDL, triglycerides... What is good and bad cholesterol? In this paper we explain the causes and consequences of high cholesterol. We hear much talk about good and bad cholesterol, but little is said about its real meaning. Cholesterol is a fatty substance found in every cell in our body. It is essential for the formation of membranes of our cells, for the synthesis of hormones such as testosterone, estrogen, cortisol and other for the production of bile, for digestion of fat, for formation of myelin (a sheath covering nerve), for metabolism of some vitamins (a, D, E and K), etc..
Endogenous - produced by our own body, especially the liver. Exogenous - acquired through food. LDL transports cholesterol and triglycerides from the liver to the tissues. The triglycerides and VLDL carries some cholesterol. HDL is a different carrier, it does the opposite way, takes cholesterol from tissues and returns it to the liver and excretes it in the intestines. 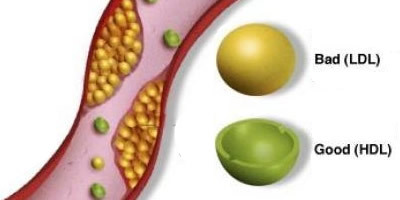 While the LDL and VLDL lead cholesterol to the cells and facilitate the deposition of fat in the vessel, the HDL is on the opposite promotes the removal of excess cholesterol, including arterial plaques. 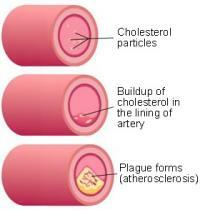 So called good cholesterol is referred to HDL, while VLDL and LDL is known as bad. The production is regulated by lipoprotein cholesterol levels. Cholesterol derived from saturated fats and trans fats favor the production of LDL, whereas the consumption of unsaturated fats, found in oil, fish, and nuts, for example, promote production of HDL. Therefore, the doses of lipoprotein carriers LDL, VLDL and HDL have an indirect assessment of the quantity and quality of the cholesterol circulating in our blood. High concentrations of VLDL and LDL are associated with the deposition of fat in the blood vessel wall leading to the formation of cholesterol plaques. When our body has more cholesterol than it needs, the molecules of LDL circulating in the blood are looking for some fabric that is in need of cholesterol for its operation. If the cholesterol is not delivered to any tissue, the LDL molecule ends up depositing in blood vessels, accumulating fat in them. This process is called atherosclerosis. See the illustration on how these fatty plaques take up space and reduce the diameter of the vessel lumen (the channel within a blood vessel or the cavity within a hollow organ). Atherosclerosis also causes direct damage to the wall, reducing the elasticity of the arteries, making it harder. The fat deposits and vessel wall injury favor the obstruction of blood flow and reduce the supply of oxygen and nutrients to tissues. 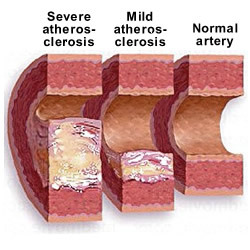 When the vessels affected by cholesterol plaques are the coronary arteries (heart arteries), the result can be heart attack, when cerebral vessels are affected, the patient may present with an AVC. The increased level of cholesterol is called dyslipidemia. For a long time doctors evaluated the degree of dyslipidemia with values of total cholesterol, which is nothing more than the sum of the blood levels of HDL + LDL + VLDL. However, as just explained, there is good and bad cholesterol, which makes efficient joint evaluation of them. Currently the total level is less valued than the individual levels of HDL and LDL. From what has been explained so far, there is no doubt that the first patient presents a greater risk of atherosclerosis than patient 2, despite having the same total cholesterol level. The above example explains why the total level is not the best parameter for assessing the dyslipidemia. What to do when your cholesterol is high? A diet rich in unsaturated fats and low in saturated fat is recommended for all people, regardless of the value of their cholesterol. 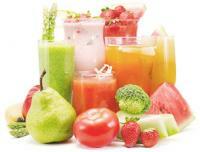 But if you have dyslipidemia, following this diet is even more important. However, it alone does not always solve the problem of high cholesterol, because the increase in LDL is related to genetic factors and food. 75% of our cholesterol is of endogenous origin (produced by the liver) and only 25% comes from the feed. So if the LDL values are very high, diet alone is not sufficient to normalize the values of the bad cholesterol. Physical exercise helps raise HDL and lower LDL, and it is another option to control dyslipidemia. However, as in the diet, the reduction is not large. Diet and exercise are sufficient for those patients with LDL to 160 mg / dl. This is the group that can achieve good results without resorting to drugs. More recent studies begin to suggest that an LDL below 80 is ideal for high-risk patients. The very low HDL is also considered a risk factor, not even with very high LDL. You can already start treatment just based on their value. Is it bad to have too high HDL? 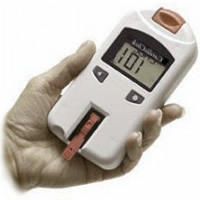 Some people, usually women, have very high HDL, sometimes greater than 100 mg / dL. This does not indicate any disease. In fact, people are lucky because they have low risk of heart disease, especially if your LDL is low. What are the symptoms of high cholesterol? High cholesterol does not cause symptoms. Caution: high cholesterol does not cause fatigue, headache, shortness of breath, prostration or any other symptom. Dyslipidemia is a silent disease. The only way to know the level of cholesterol is via the analysis of blood. Hypertriglyceridemia, name given because of the increase of triglycerides in blood, is also a risk factor for atherosclerosis, especially if combined with low HDL. Triglycerides are closely linked to VLDL and their value is typically 5 times greater. For example, an individual with VLDL 30 mg / dl, will have about 150 mg / dL triglycerides. Treatment of lower triglycerides consists of regular aerobic exercise, weight reduction and control of the intake of carbohydrates (pasta, sweets, soft drinks ...) and alcohol. The diet combined with sports is more successful in lowering triglycerides than on LDL, especially for males. While most patients with high cholesterol end up needing drugs, patients can control their triglycerides without resorting to drugs. Elevated cholesterol and especially triglycerides, are associated with a higher incidence of fat accumulation in the liver called hepatic steatosis. Similarly that may be genetic hypercholesterolemia, hypertriglyceridemia, too. There are cases of triglycerides greater than 1000 mg / dL (I've seen up to 4000 mg / dL). In these individuals the blood is so fat that appears to be milky. Unreasonably high triglycerides increase the risk of acute pancreatitis. All patients with cholesterol and / or high triglycerides should be submitted to the diet, exercising regularly, and if they're overweight, lose weight. The drugs for lowering LDL and HDL are the statins, inhibitors also named enzyme HMG-CoA reductase (liver enzyme responsible for the production of cholesterol). Statins also act to reduce triglycerides. 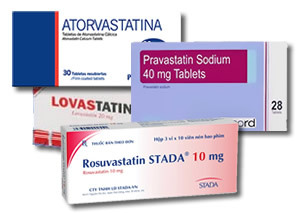 Rosuvastatin and atorvastatin are the strongest and manage cholesterol reductions with lower doses. However, when compared at equivalent doses, there is no difference in the results of all statins. Therefore, the choice should be individual, based on economic conditions and the patient's adaptation to the drug. In the end, all statins are effective. 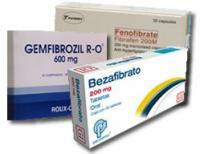 The main side effects of these drugs are muscle pain and cramps. In some cases the muscle injury can be serious and indicate the cessation of treatment. Drug-induced hepatitis may also occur. While statins act on triglycerides, fibrates are a class with stronger action for this purpose. Fibrates reduce triglycerides, but did not interfere in LDL. The association between statins and fibrates should be done with caution, since there is an increased risk of muscle injury with concomitant use of these drugs.